[post_ads]The resignation of Foreign Secretary Boris Johnson, the face of the campaign to leave the European Union in 2016, compounded the chaos in government following the departures of Brexit Secretary David Davis and his deputy late Sunday. May’s statement to Parliament on Brexit, which was meant to crown a rare compromise deal reached with her divided Cabinet on Friday, was turned into a two-hour defense of her policy of seeking a softer divorce from the EU. @BorisJohnson. Now can we please get rid of the appalling @theresa_may and get Brexit back on track. May maintained the balance of Leavers and Remainers in her Cabinet by appointing Health Secretary Jeremy Hunt to replace Johnson as foreign secretary, after earlier picking Brexiter Dominic Raab to replace Davis. Hunt campaigned to stay in the EU but has since changed his mind and says he would back ‘Leave’ if the referendum were held now. 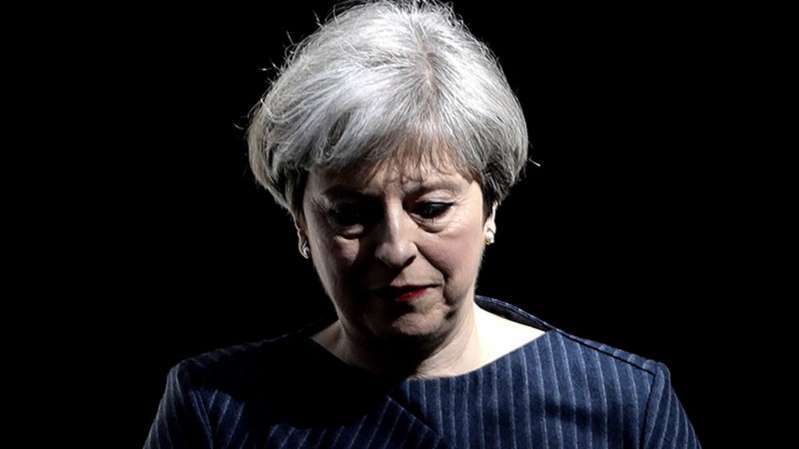 In the House of Commons, May twice batted away the question of whether she would fight a leadership challenge, and denied her Brexit proposal -- which she said would protect the economy -- was a betrayal of the referendum result. High-profile resignations can unleash leadership challenges, and the fact that Johnson -- or those around him -- made sure his resignation statement came out in time for the evening news and before it was issued in the traditional way by May’s office, hints at his continued interest in becoming prime minister. May responded in kind, saying that she was “surprised” that he had reneged on the Cabinet agreement. Straight after her Commons appearance, May went to a packed meeting of rank-and-file Tory lawmakers, where she spoke and took questions for an hour about her plan. There were some voices of dissent during the gathering, one lawmaker said as he left the room, though the end was marked by loud cheers. But Jacob-Rees Mogg, chairman of the pro-Brexit European Research Group, warned that May would split her party if she relies on opposition Labour votes to get her plan through Parliament. The premier’s team briefed Labour Party lawmakers on Monday in an apparent effort to try to count on their support if her own side lets her down. “That would be the most divisive thing the government could do and it would be a split coming from the top,” Rees-Mogg told reporters outside the meeting. May’s statement in the Commons “gave me no reassurance at all,” he added. Rees-Mogg’s group met later Monday to decide on their strategy. Just on Friday, May announced she had secured the backing of her whole Cabinet for her Brexit proposal and told ministers to either back it or resign. It was a rare consensus, following talks at her Chequers country retreat about the way forward -- a move meant to kick-start talks with the EU that have been stalled for months. Ministers signed off on a blueprint for a new U.K.-EU “free trade area,” with interwoven customs regimes, and identical regulations for industrial and agri-food goods. Critics in May’s Conservative Party said the plan would bind Britain to EU rules and prevent it from signing trade deals with countries outside the bloc. --With assistance from Alex Morales and Jessica Shankleman.